McALLEN — The federal trial for a former state district judge accused of bribery has been delayed until the summer. 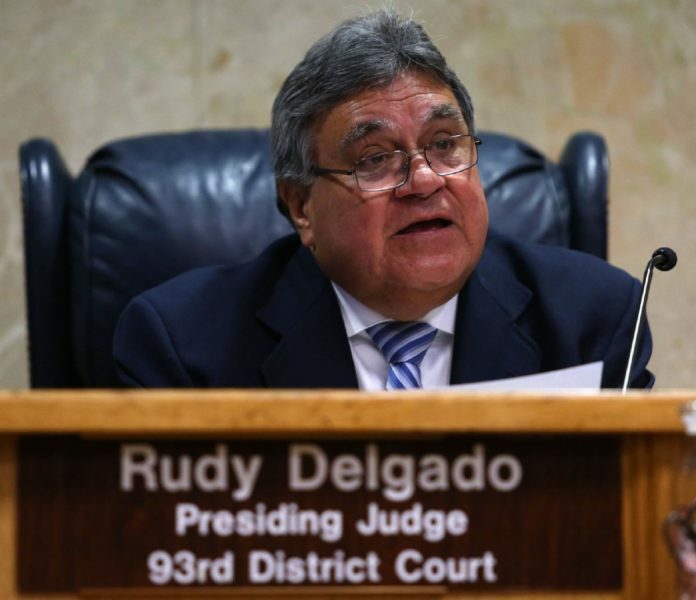 The court granted Rodolfo “Rudy” Delgado a continuance Friday in his trial, delaying jury selection and the beginning of the trial until July 1, court documents show. Delgado’s attorney, Michael W. McCrum, filed a motion for continuance Wednesday, citing lack of time to prepare for the Feb. 25 start date set for the trial that has already been delayed once before. The court granted a continuance in August 2018 that set the most recent Feb. 25 trial date. The filing states that due to McCrum’s participation in a federal case in the Laredo division of the Southern District of Texas, he would not have time to prepare for Delgado’s trial. The trial, already considered a complex one at its onset, was estimated to run at least two weeks but is currently in its third, with it expected to go through Feb. 4, the documents state. The decision to delay the trial another six months comes on the heels of a filing on Delgado’s behalf, asking the court to reconsider the trial’s venue. This was the second such attempt since his indictment on bribery charges last February. In the 10-page motion, McCrum asked for the court to reconsider its October 2018 decision to deny his request for a venue change. Delgado sought then to hold his trial in McAllen instead of Houston. Read the motion for continuance here. In addition to family travel issues, McCrum cited a newly proposed policy regarding the very issue at hand for his client — the rules for where the prosecution and trial will take place. McCrum asked the court in the motion to reconsider a venue change based on the proposed rule. A date for the court’s decision on the reconsideration motion was not published in the record.